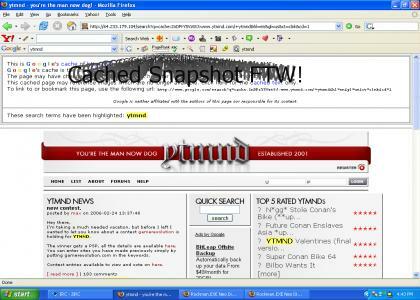 There's one way to view YTMND for now! Cached, not catched! Otherwise, GG. Nice musical choice. Was YTMND ever in any trouble?